Slightly unusual this: it’s not on my street. I had to go almost two kilometres to see this one. It’s enormous and really useful. That makes it a Landcruiser, another one. The title for this regular item could almost be “the odd cars on my street” but this is not on my street. For some reason there haven’t been so very many oddities outside my front door in recent weeks. 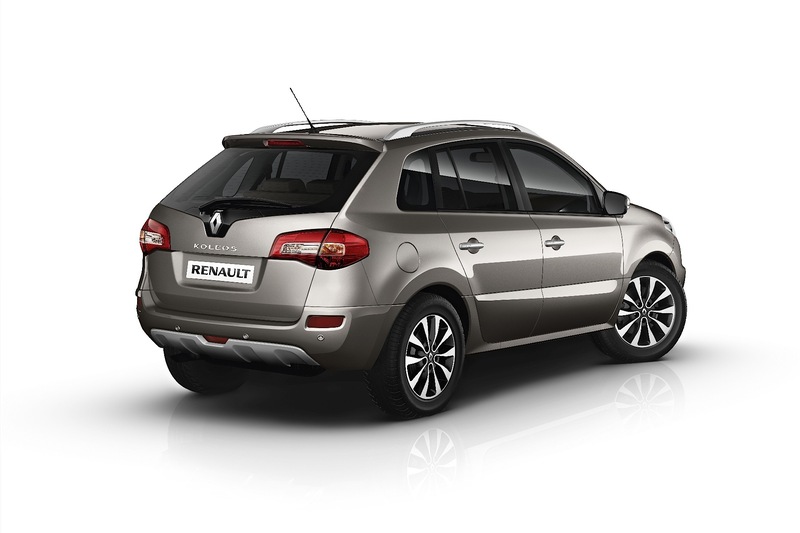 One exception appeared the day my mobile telephone lay recharging on the kitchen worktop (Wednesday): a Renault Koleos. Not the new one, the first one, the one nobody bought. That sighting brought to two the tally of said cars observed by yours truly since Renault launched it upon an unsuspecting world in 2007. I suppose it’s ironic that I am addressing the subject of the unphotographed Koleos in an article ostensibly about the VDJ76R GXL** shown here. They are almost polar opposites, aren’t they? Should you take a step back from life’s dizzying whirl and you think about it: the Koleos is not much of an off-roader at all and the Landcruiser here looks like it could drive from Tierra del Feugo to Anchorage without missing a beat. The LandCruiser makes plain the pointlessness of the Koleos. Naturally, the engineering of the Landie is impressive, honed since 1984 and subject to pretty much annual improvements. According to Wikipedia this seems to be still in production alongside subsequent more style-orientated LandCruisers. LandCruiser fans won’t be surprised at any of this but it’s news to me as I basically hate off-roaders : it comes in a plethora of bodystyles with a blizzard of engines. If I had to have an off-roader, this is the one. I can’t precisely identify the exact version, please be gentle. The long wheelbase versions I found don’t have as thick a C-pillar as this model. Is it a customised version? It is a pity my mobile ‘phone died with 28% of its power left, precisely as I wanted to photograph the cavern, the great hall, the cathedral in the back of the vehicle. It would challenge a Ford Transit Connect, I am confident. You could park an Aygo there. The passenger seats in the middle – not so good. Awful really. No centre armrest, flat back, flat seat, no head restraints. There is more room in the back of an Aygo. The driver has a chair of their own (good) and the other side is a two-person bench (archaic). The door casings said 1986 and the dashboard something like 2002. It reminds me of a Ford Transit mated to a Land Rover/Corolla cross-breed. The wheels look as if they have emerged from a fuselage. Think of the way the wheels of Bond’s Lotus Esprit fold out when the car is about to drive onto land. The LC looks as if its wheels can fold away into the body-work. The body is, for good engineering reasons, tucked inboard of the wheels and above the wheel axles, without making it look like a monster truck. Stylistically it is also very pleasing. Recent generations of these cars are reaching to the ground. Recall the laughably over-wrought front end of the Ford Ranger we showed recently. Oh, I wish my ‘phone had not died because I could show and not tell. I tell it like this: The front end of this LandCruiser is about lamps, a massive grille and some ironwork for a bumper. And it had a Toyota badge mascot too. Very simple. Very convincing. Keep out of my way. I don’t know why this car’s owner has such a single-minded vehicle. The registration is from Rendsburg, Germany which is as low-lying as Denmark. The interior’s very basic accoutrements and awful seating certainly don’t suggest someone with a taste for the sybaritic. So, I am going to conclude they do need it, in some mountainous march of Schleswig. And if they do, it really comes across as the off-roader to end all off-roaders short of a Unimog. I turn to the question as to why Land Rover and Mercedes have killed off their equivalent cars when Toyota can still keep their work-horse 4WD in production. ** I expect to be corrected. The LC chronology is very, very detailed. It is a system not a single car. It is adapted to many markets and has been around in this guise for three decades. If any LC expert does chance on this, be gentle with me. Leave a comment. Inform us, please. I occasionally see something like this in N France. It’s the overhead exhaust that’s distinctive: I doubt that it would be allowed now. For those who like to drink and drive — not me at all — you can pop a French “sans-permis” in the back of this LC, get done for the offence, and drive off in your tiny two-stroke with no way of stopping you. Even if it’s very flat, it’s also very muddy, and this car’s designed to cope with that too. But the M+S tyres everyone’s wearing round here now are very noisy on roads with no snow, as I discovered when being given a lift recently. It’s unusual not to hear the engine on an old 206. Is that the exhaust? I would think it’s the air intake? This is a very strange body style. I’ve never seen this before. It looks like it’s elongated by 30 or 40 cm by just adding to the C-pillar. No need for specific windows. Does anyone know if this is a factory option or a third party conversion? I’m no expert, but it looks similar to this one. I’d guess it’s a (German) conversion. Whoever made it, it’s a really good conversion made in a very complicated way, it’s hard to see any seams anywhere. First they cut off the entire rear of the car in a zig zag line going up from the bumper just in front of the rear lights, then making a horisontal division just below the windows going forwards and up behind the c-post. Then they moved everything rearwards and made a new lower body tub, put the original rear upper body including the windows on top of that and filled in the body above the wheelarch. The new parts of the car is thus the lower rear tub and upper middle infilled c-post. I guess it was too expensive making new windows. You can see the spare wheel sitting at its old place under the y between the rear wheels, they didn’t move the spare wheel location. Tjena med parts of the body is between the rear lights and the black vent and tank lid. A job well done continuing all the body pressings trying to make it look like a factory conversion. I’d say that the infilled c-post is the tell tale, Toyota would never make a monstrosity like that themselves. Manfred Diekmann seem to offer this as a conversion (supplying dealer of the one in the original picture, according to the number plate). That elongated rear overhang must be where Land Rover got the idea from for the 1998-04 Discovery.